See various images of some of Mississippi’s renowned photographers at a newly curated exhibit at Mississippi College’s Gore Art Galleries, which debuted on Sept. 12 and lasts through Sept. 27. The “J” exhibit features the news photographs of Michael and Dianne Barrett, Chris Todd, Barbara Gauntt and Melanie Thortis. 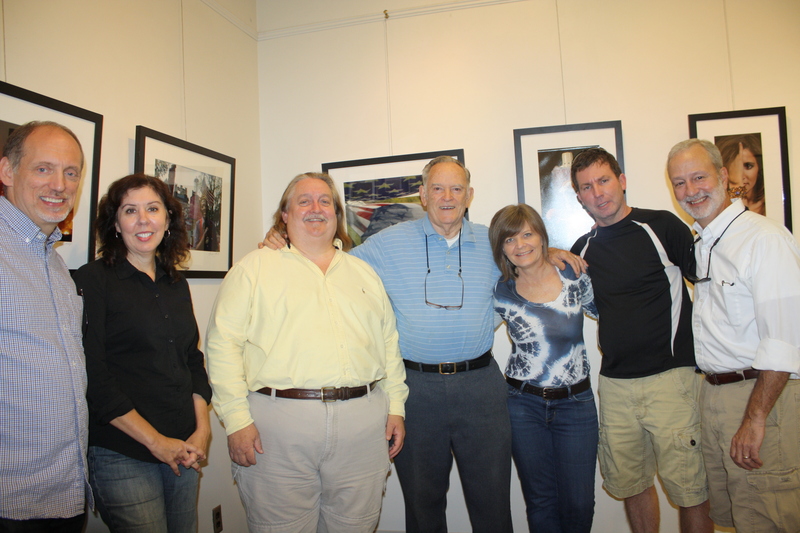 All are former award-winning photographers with The Clarion-Ledger in Jackson. MC held a reception for the photographers followed by a brown bag luncheon where they talked about their adventures taking pictures and their careers. The exhibit features 40 photographs and admission is free to the exhibit at the Gore Galleries at 199 Monroe Street. One of the photos in the exhibit captures the mood of a man, his fiancée and friend who can do nothing but helplessly watch as the couple’s home is burned to the ground in 2005. 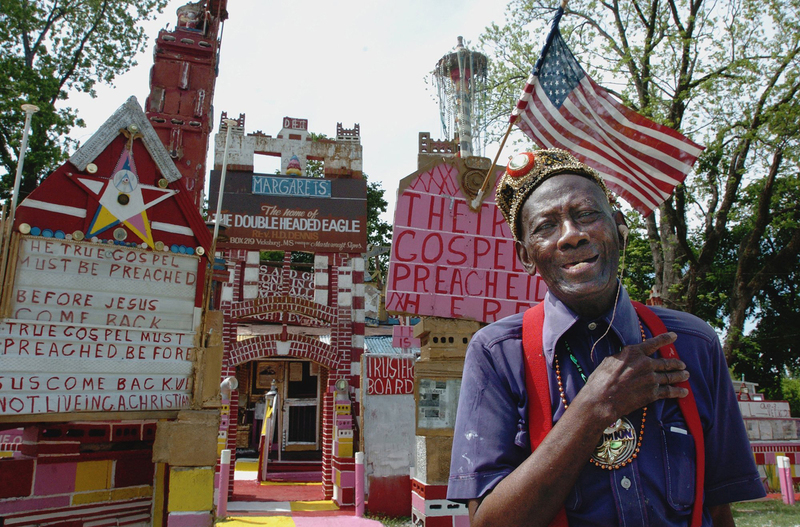 Another photo depicts the unusual residence of the Rev. H.D. Dennis that he shares with his wife. The structure is really an ever-changing piece of folk art in Vicksburg. Both were shot by former Clarion-Ledger photographer Barbara Gauntt. Photographers at the brown bag lunch (l to r)- Michael & Dianne Barrett, Gore Galleries Director Randy Jolly, sculptor Sam Gore, & photographers Barbara Gauntt, CL photographer Joe Ellis and Chris Todd. Gallery hours are Monday through Friday from 9 a.m. until 3 p.m. and Tuesday evenings from 6 p.m. until 8 p.m. Parking is provided behind the First Baptist Church Clinton Activities Building. For more information, contact Randy Jolly at 601.925.3880 or rjolly@mc.edu. Photos and information submitted by MC.